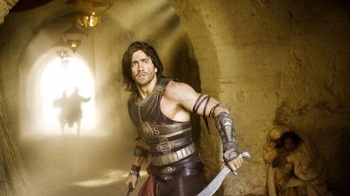 Despite an initial lower-than-hoped-for turn at the box office, Prince Dastan has bounded past Lara Croft as the highest-grossing videogame star to make it on the big screen yet. The Prince of Persia might not quite be the new Captain Jack Sparrow that producer Jerry Bruckheimer was hoping for, but he's done well enough for himself so far. According to Box Office Mojo, Prince of Persia: The Sands of Time now has a worldwide box office gross of $293.9 million, officially passing the $274.7 million mark set by Angelina Jolie's Lara Croft Tomb Raider in 2001. Of course, accounting for A.) inflation and B.) that Persia cost a whopping $200m to produce, the Prince may still have a bit further to go to be considered as successful as Ms. Croft.